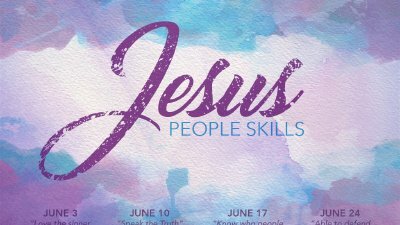 Jesus People Skills: Speak the Truth John 8:12-30 I. Truth comes from God, our Father; 8:12-20. 12 When Jesus spoke again to the people, he said, "I am the light of the world. Whoever follows me will never walk in darkness, but will have the light of life." 13 The Pharisees challenged him, "Here you are, appearing as your own witness; your testimony is not valid." 14 Jesus answered, "Even if I testify on my own behalf, my testimony is valid, for I know where I came from and where I am going. But you have no idea where I come from or where I am going. 15 You judge by human standards; I pass judgment on no one. 16 But if I do judge, my decisions are right, because I am not alone. I stand with the Father, who sent me. 17 In your own Law it is written that the testimony of two men is valid. 18 I am one who testifies for myself; my other witness is the Father, who sent me." 19 Then they asked him, "Where is your father?" "You do not know me or my Father," Jesus replied. "If you knew me, you would know my Father also." 20 He spoke these words while teaching in the temple area near the place where the offerings were put. Yet no one seized him, because his time had not yet come. Jesus’ opening words, “I am the light of the world,” are very impressive. The follower of Jesus “will never walk in darkness.” Far from being confined to darkness they will have “the light of life.” He is quickly challenged. Jesus appeals to the Father and Himself, and there is no other to whom He can appeal. The Jews prided themselves on their knowledge of their God; Jesus tells them they have no knowledge of Him at all. Jesus is the light to truth. He has provided all the proof we need. He wants to guide you to the truth of God. If you want to know God, you must know Jesus. Choose to know Jesus as Savior now, or face Him as Judge later. II. Truth is we’re all destined to die in our sin; 8:21-24. 21 Once more Jesus said to them, "I am going away, and you will look for me, and you will die in your sin. Where I go, you cannot come." 22 This made the Jews ask, "Will he kill himself? Is that why he says, 'Where I go, you cannot come'?" 23 But he continued, "You are from below; I am from above. You are of this world; I am not of this world. 24 I told you that you would die in your sins; if you do not believe that I am the one I claim to be, you will indeed die in your sins." Jesus began by telling the Jews that He will leave them, and they will not be able to follow Him where he goes. The crowd concludes that Jesus must be going to His death. Jesus will indeed die, and this departure will be a return to His Father in heaven. They, however, will die in their sins. There is only one way of avoiding this fate; by believing in Jesus. Otherwise, we too will die in our sins; the worst thing that could happen to anyone. III. Truth is found in pleasing God; 8:25-30. 25 "Who are you?" they asked. "Just what I have been claiming all along," Jesus replied. 26 "I have much to say in judgment of you. But he who sent me is reliable, and what I have heard from him I tell the world." 27 They did not understand that he was telling them about his Father. 28 So Jesus said, "When you have lifted up the Son of Man, then you will know that I am the one I claim to be and that I do nothing on my own but speak just what the Father has taught me. 29 The one who sent me is with me; he has not left me alone, for I always do what pleases him." 30 Even as he spoke, many put their faith in him. The crowd misses the point altogether. He is not a man with religious insight (from below, from the world), but God's Son (from above, from heaven). This prompts His audience to ask, "Who are you?" "Just what I have been claiming all along." But this sort of insight is beyond their grasp. Jesus goes on to point out that He has many things to say “about” (not “to”) them, and that these things concern judgment. But the right place and the right time to say such things are not yet. In the first section the discussion concludes with speculation about Jesus' capture. Now we have a description of some who believe. These two reactions parallel what we observed elsewhere in the Gospel where Jesus' audience divides: Some completely oppose Him, while others are receptive and welcoming. You can’t speak the truth, until you know the truth. When exposed to the truth that Jesus is the Son of God and the only way to God and eternal life, some are receptive, and others oppose until they die in their sins. With a gospel conversation, we are communicating the truth; truth that connects us to our Creator, our purpose, and how not to die in our sins. Jesus People Skills: Able to Defend your Faith John 8:48-59 48 The Jews answered him, "Aren't we right in saying that you are a Samaritan and demon-possessed?" 49 "I am not possessed by a demon," said Jesus, "but I honor my Father and you dishonor me. 50 I am not seeking glory for myself; but there is one who seeks it, and he is the judge. 51 I tell you the truth, if anyone keeps my word, he will never see death." 52 At this the Jews exclaimed, "Now we know that you are demon-possessed! Abraham died and so did the prophets, yet you say that if anyone keeps your word, he will never taste death. 53 Are you greater than our father Abraham? He died, and so did the prophets. Who do you think you are?" 54 Jesus replied, "If I glorify myself, my glory means nothing. My Father, whom you claim as your God, is the one who glorifies me. 55 Though you do not know him, I know him. If I said I did not, I would be a liar like you, but I do know him and keep his word. 56 Your father Abraham rejoiced at the thought of seeing my day; he saw it and was glad." 57 "You are not yet fifty years old," the Jews said to him, "and you have seen Abraham!" 58 "I tell you the truth," Jesus answered, "before Abraham was born, I am!" 59 At this, they picked up stones to stone him, but Jesus hid himself, slipping away from the temple grounds.  The Jews accusation that Jesus was a Samaritan points to Hisnegligence in the observance of Judaism. He is observing only those parts of their religion which the heretical Samaritans observed. His refusal to agree with the Jews that they had an exclusive right to be called Abraham’s children may be the point. They may be saying, “You are no better than a Samaritan!” If that was not enough, they accuse Him of being demon-possessed, that He is controlled by a demon, and is working to glorify Satan. The devil is His master. They attack the heart of who the Messiah would be. Jesus ignores the charge that He is a Samaritan (wasn’t much of an insult to Him anyway), and quietly denies that He has a demon. Jesus refused to debate name calling; it was just a distraction. He stresses that it is His practice to honor His Father, which is as far removed from demon possession as is possible. Name-calling and insults for refusing to agree with a particular group is a common response to Jesus and His followers. In defending your faith, don’t get distracted from the gospel message because of being called derogatory names or insults. They moved from name-calling and insults to questioning His motives as being self-centered. Jesus is not concerned that people should give Him the glory that He is due; God is looking after that. Having your motives questioned as being self-serving is a further distraction from the gospel message. We just point people to God’s motives in the gospel. The Jews are ready to classify Him as a demon-possessed Samaritan. Yet, it is His word that everyone must keep to enter life. “He will never see death.” Death comes to all. What, then, does it mean that Jesus can deliver other people from death? Clearly it means a claim to superhuman power. Again, Jesus points the attention back to God the Father. His identity is based upon the One who sent Him. He is not out to glorify Himself. “My Father, whom you claim as your God, will glorify me.” He makes the connection even more clear. Their God is His Father, who glorifies Him.Yet He is not really their God at all. Now Jesus returns to the case of Abraham. Abraham rejoiced at his “day.” The Jews were being false to their great ancestor. “The day of Christ” points to the second coming and to the incarnation. Among the Jews the idea that Abraham looked forward to the day of the Messiah and rejoiced in it was not strange. The climactic point in this chapter is Jesus’ affirmation, “before Abraham was born, I am!” “I am” is a reference to His eternal being. He says “I am,” not “I was.” It is an eternity of being, not simply being that has lasted through several centuries. The Jews could interpret this only as blasphemy. Therefore they took up stones to stone Him. They were incensed. So they took the law into their own hands. He was concealed by Another, and so passed out of the Temple. Many still question the identity of Jesus. Maybe by outright denying that He ever existed, or that someone with the name Jesus existed and thought He was God. Others say that Jesus was a moral man, who lived a good life, setting good examples for us to follow. For some He is just a legend. Others say that He was God but deny His identity by how they live, reducing Him to someone like us, or down playing His role in our lives. We do not compromise, hide, water-down, or are intimidated by anyone. Our defense is Jesus as the way to live. Is Jesus greater than all other paths to God, eternal life, and fulfillment? Yes, He is! KNOW WHO PEOPLE REALLY ARE – John 8:31-47 31 So Jesus said to the Jews who had believed him, “If you abide in my word, you are truly my disciples, 32 and you will know the truth, and the truth will set you free.” 1. Abide means to continue believing what I said and walk in obedience to the truth. 2. You are not passing the test of true discipleship. 3. What have I said? 33 They answered him, “We are offspring of Abraham and have never been enslaved to anyone. How is it that you say, ‘You will become free’?” 1. I’m my own man. 2. I will live life my way. 3. My personal habits are my own business. 34 Jesus answered them, “Truly, truly, I say to you, everyone who practices sin is a slave to sin. 35 The slave does not remain in the house forever; the son remains forever. 36 So if the Son sets you free, you will be free indeed. 37 I know that you are offspring of Abraham; yet you seek to kill me because my word finds no place in you. 38 I speak of what I have seen with my Father, and you do what you have heard from your father.” 1. I know who you are. 2. You are deceiving yourselves. 3. Your actions do not match who you claim to be. 4. Your father is not my Father. 39 They answered him, “Abraham is our father.” 1. I have special heritage. 2. I know what it means to follow God. 3. I have my own freedom! Jesus said to them, “If you were Abraham's children, you would be doing the works Abraham did, 40 but now you seek to kill me, a man who has told you the truth that I heard from God. This is not what Abraham did. 41 You are doing the works your father did.” 1. What are the results of your works? 2. What do you know of truth? 3. You have made up your own rules. 4. Your treatment of others is evidence of your true nature. They said to him, “We were not born of sexual immorality. We have one Father—even God.” 1. We are righteous. 2. We are not idolaters. 3. We are spiritually superior to others. 42 Jesus said to them, “If God were your Father, you would love me, for I came from God and I am here. I came not of my own accord, but he sent me.43 Why do you not understand what I say? It is because you cannot bear to hear my word. 44 You are of your father the devil, and your will is to do your father's desires. He was a murderer from the beginning, and does not stand in the truth, because there is no truth in him. When he lies, he speaks out of his own character, for he is a liar and the father of lies. 45 But because I tell the truth, you do not believe me. 46 Which one of you convicts me of sin? If I tell the truth, why do you not believe me?47 Whoever is of God hears the words of God. The reason why you do not hear them is that you are not of God.” 1. Where is your love for the Father? 2. My words are offensive to you. 3. If you knew the Father you would know me. Jesus People Skills: Love the Sinner not the Sin John 8:1-11 1 But Jesus went to the Mount of Olives. 2 At dawn he appeared again in the temple courts, where all the people gathered around him, and he sat down to teach them. 3 The teachers of the law and the Pharisees brought in a woman caught in adultery. They made her stand before the group 4 and said to Jesus, "Teacher, this woman was caught in the act of adultery. 5 In the Law Moses commanded us to stone such women. Now what do you say?" 6 They were using this question as a trap, in order to have a basis for accusing him. But Jesus bent down and started to write on the ground with his finger. 7 When they kept on questioning him, he straightened up and said to them, "If any one of you is without sin, let him be the first to throw a stone at her." 8 Again he stooped down and wrote on the ground. 9 At this, those who heard began to go away one at a time, the older ones first, until only Jesus was left, with the woman still standing there. 10 Jesus straightened up and asked her, "Woman, where are they? Has no one condemned you?" 11 "No one, sir," she said. "Then neither do I condemn you," Jesus declared. "Go now and leave your life of sin." These men are making a legal charge. They possess the evidence the law requires to convict the woman. The law required strong testimony from two witnesses who saw the couple in a sexual context. The two witnesses had to see these things at the same time and place so that their testimonies would be identical. The law also expected that if a person witnessed another about to commit a sin, compassion required them to speak up. These witnesses stand silently, neglecting their moral obligation to give guidance to the woman. They apparently wanted to catch her and use her. The oral law in Jesus’ day specified that an unfaithful fiancé should be stoned, but wives strangled. In the present passage, the woman therefore must be engaged. But if so, where is her fiancé? If they were caught in the act, he was caught too. The accusers have permitted him to get away. The irony for women historically is that men have sinned with them—and then later accused them of sexual misconduct. Jesus responds with his often-quoted statement, "If any one of you is without sin, let him be the first to throw a stone at her." This does not mean that this woman's accusers must be sinless or morally perfect in order to bring charges against the woman. In such a case, accusations would be impossible at any time. This is simply a direct reference to Deuteronomy 13:9 or 17:7, which says that those who witness a crime and bring home a successful accusation must be the first to stone the victim. But then the accusers must engage in self-examination. Women who transgressed social mores could find themselves in legal jeopardy much more quickly than their partners. Jesus may thus be cutting through the double standard to force the men to reflect on their own hypocrisy. Jesus resumes his writing, and the religious leaders begin departing one by one. John pictures one teacher departing, who is then followed by a succession of people eventually walking away, so that the accusers arrayed against the woman crumble bit by bit. But in the end, Jesus and the woman are left alone. Eventually you and Jesus stand alone to deal with how you dealt with your sin. Jesus straightens up and speaks to her for the first time. His questions do not imply that the woman is innocent since he warns her to cease a sinful life that has been her habit. Jesus' final words again do not imply innocence but reflect his sovereignty to forgive sin. Sin was not treated lightly by Jesus, but sinners were offered the opportunity to start life anew. Through the story she moves with shocking speed from death to life. This morning whoever you are and whatever you’ve done or are doing. Jesus offers forgiveness you to just as he did this woman. His words are the same. I don’t condemn you. I offer forgiveness if you put your faith in Jesus and ask for His forgiveness and repent or stop sinning. Jesus never offered forgiveness to those who planning on keeping on doing what they were doing. We as followers of Christ are called to live the sinner and point them to the forgiveness Jesus offers them without condoning, accepting or diminishing the sin. Our culture believes that to live the sinner you must accept their sinful lifestyles and choices. That it is impossible to live the sinner and not the sin, but this is exactly what Jesus did and still does through his body. The solution to the habitually sinful, the sinful lifestyles of someone in your life: Overlook or accept the sin. Condemn and reject the person. Love them and point them to forgiveness in Jesus, while never accepting or condoning the sinful choices.